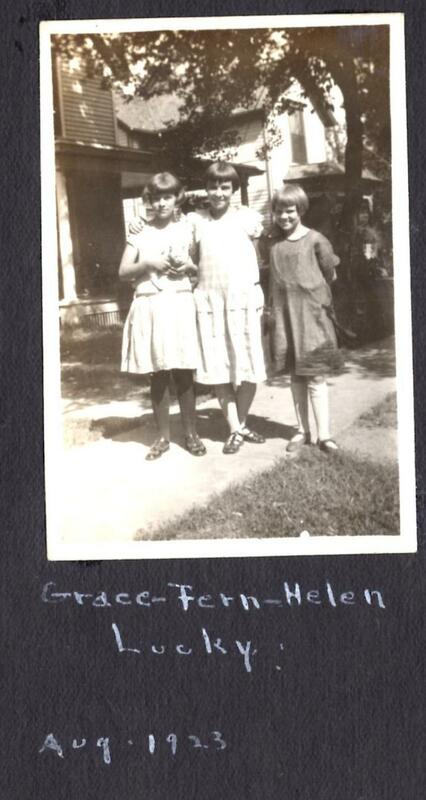 Comments: Helen Lucky (Nee: ) | Havelock NE USA | 1921-1940 | Comments: taken by my great aunt in aug, 1923. Im assuming these are 3 sisters with the last name of Lucky. BUT I cannot find a family with that surname on the 1920 census. SO there is a possibility Lucky is just the name of the cat!